Home / aoc / monitor / AOC retaines the top spot as leading monitor brand in the PH market. 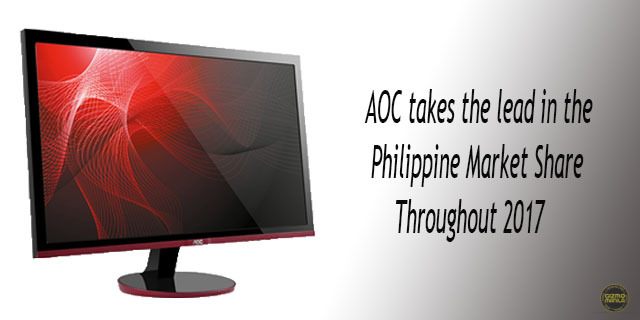 AOC retaines the top spot as leading monitor brand in the PH market. In the most recent report from the International Data Corporation (IDC), the world’s premiere global market intelligence firm, has confirmed that AOC under the Multi Media Display (MMD) group has retained its spot in Philippine market share as the leading monitor brand for the fourth quarter of 2017. The report and data analysis revealed that AOC is the preferred brand for monitors in various segments in the country starting from their 19.5” monitor line up and they continued to take this lead up to the final quarter of 2017.